Funeral pre-arrangement wishes and pre-paid plans are a sensible option for anyone. They provide financial peace of mind for your loved one and also give you the chance to plan a service that has been tailor-made for you. At a time of bereavement, your loved ones can be under considerable emotional stress and it makes sense to avoid extra worry for them. Pre-arrangement ensures that your exact funeral wishes are carried out and that the costs of doing so are already covered, relieving the financial stress on your family and friends. When you pre-plan a funeral with us, we will ask for information on all elements that are important to you. These elements and factors can include details about music, the route to the ceremony, hymns, readings, dress, venue, the wake and more. No matter how simple or complicated your ideas are, we have the experience and expertise needed to ensure each and every last wish is fulfilled. The cost of the funeral will be the price applicable and estimated at the time you enter into the plan. The professional fee will be guaranteed at that price subject to the Trust’s rules and guidelines. After you have purchased your pre-paid funeral plan, we will provide you with all the relevant paperwork, which will include a record of the plan and all instructions. We will also keep a copy of the document. Having everything ready for when the time comes the plan is needed. Entering into a pre-paid plan will also mean protecting your family from rising funeral costs and removing the burden of arranging the ceremony from your loved ones. Costs can vary depending on the nature of your funeral and what you wish to include in your ceremony. Our pre-paid funeral plans differ from many other schemes in that local trustees are involved rather than large funeral plan providers. The funds are invested and managed by St James Place Bank, which hold and takes care of them until they are needed. The local trustees oversee the process, ensuring wishes are met in both a practical and financial sense. Our funeral plans are completely independent to our private, family-run company. 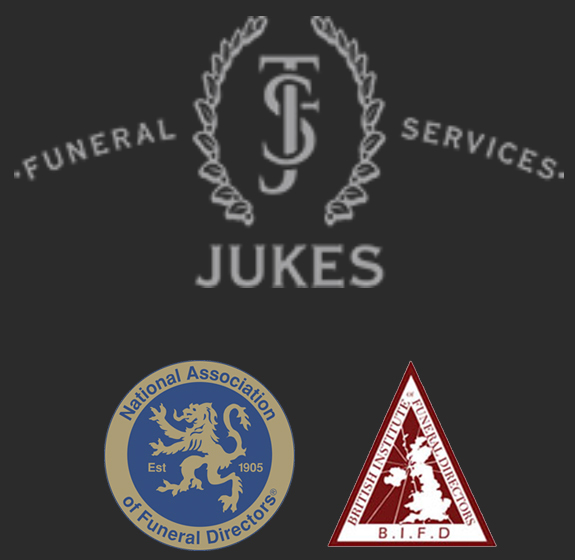 You are more than welcome to visit our premises to find out more about what to expect when you pre-plan a funeral with Jukes Funeral Services. Our Funeral Wishes pack is available free-of-charge and gives you the valuable opportunity to record your own funeral requests. Once this is passed onto us, we will be able to pass the information onto your family when the time of need comes. 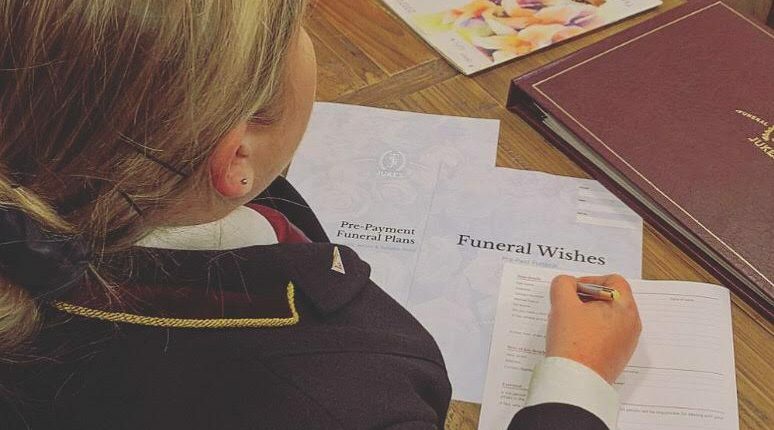 These instructions can be taken in a private consultation with one of our highly-experienced funeral arrangers, who will then file them away safely and securely and give you your own copy to keep. Funeral Wishes enable you to ensure your life is celebrated the way you want it to be. You can even decide who you wish to carry out specific readings, and you can leave room for your loved ones to play a role in deciding some elements if desired. We offer a range of services for those wishing to take control of their funerals, including our bespoke funeral payment plans, our Funeral Wishes service and advice on selecting the right plan for you. You are welcome to get in touch with us anytime if you require more information about our pre-paid plans and Funeral Wishes, so please don’t hesitate to speak to one of our funeral directors.